Nagaland Governor P B Acharya, on Thursday congratulated the Pangti people, church leaders, NGOs, related departments for initiating and motivating the people to conserve the amur falcons. The Governor was at the inaugural function of the three days Amur Falcon Conservation Week and Festivals held at Ashaa village Polytechnic Institute on Thursday. The three-day conservation week from November 8-10 is being organized by the Department of Tourism and Department of Environment, Forest and Climate Change, Government of Nagaland. 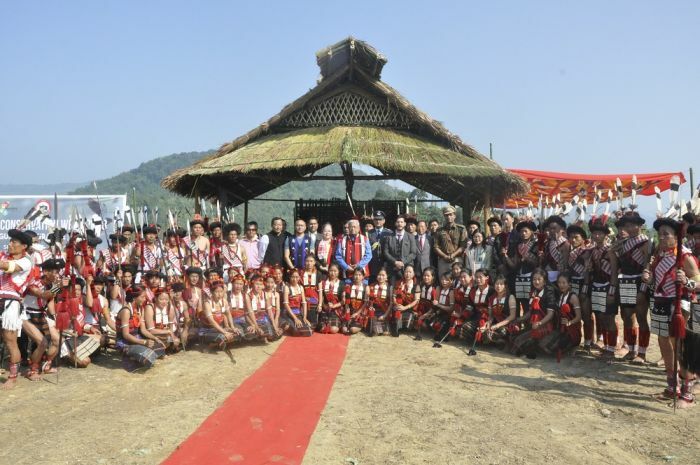 With the small raptors coming in the millions to the area, the Governor while addressing the inaugural function said the people of Pangti village have been blessed. While recalling that once upon a time, the amur falcons were killed in thousands, the lauded the consorted efforts in creating awareness about onservation of these migratory birds. The Governor, also expressed gratitude to the Department of Tourism and Wokha district administration for taking up the task of clearing the roads so that visiting tourists, both international and domestic, can enjoy this ‘God given great place’. He claimed that Nagaland has the potentiality to become one of the richest states among the 29 states in the country. “However, for this, we have to plan meticulously and see that our empowered and highly educated Naga youths come back to Nagaland and work for the people to transform the state into a prosperous one,” Acharya said. Secretary, Tourism, Mhabemo Yanthan, while delivering the keynote address said, the programme was organized with the objective of drawing focus on the benefits of tourism, showcasing the cultural diversity of the country and reinforcing tourism for all.